The Group is always pleased to accept new members. 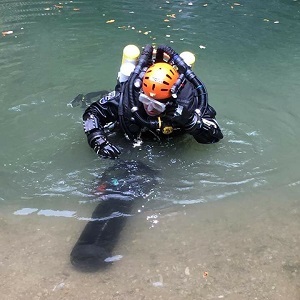 The very specialised nature of cave diving, especially in British sump conditions means that prospective members of the group are few and many should question whether the CDG is an appropriate organisation with which to further their goals. That said, for those whom cave exploration is the primary driver, joining the CDG offers unparalleled resources, support and opportunity. There are five classes of CDG membership: Diving (Trainee & Qualified), Non-diving, Honorary & Temporary. Non-diving members receive publications and may attend meetings but pay a reduced subscription and are not insured for cave diving. The 15-day Temporary Membership is only available to cave divers visiting from overseas. Regional Sections are responsible for the administration of membership including the acceptance of new members and matters of expulsion. If you wish to apply for membership of the CDG you must first decide which Section is the best fit for you. Putting aside the obvious geographic considerations please be aware that each Section has its own personality and its own viewpoint on what makes a suitable aspirant member. The best way of finding out is to contact the Section informally, get to know them and let them get to know you before putting in a formal application for membership. Membership is administered at regional Section meetings details of which can be found on each Section’s page. What involved in joining the CDG? To join a Section you must over 18 years of age, be physically fit and not suffer from epilepsy. You must hold a SCUBA certification equivalent to CMAS one star OR be able to demonstrate equivalent skills to the satisfaction of a Section Examiner. You will also need to gain endorsement from two Qualified Divers from that Section, complete Membership and Waiver forms and send them to the Section Secretary prior to the meeting when you wish your application to be considered. You are then required to attend that meeting to discuss your motivation, experience and aspirations. The Section reviews your application and Qualified Divers vote to approve it. If your application is successful you will be required to pay the correct membership fee and will be welcomed into the Section. If your application is unsuccessful, guidance will be given on the reasons for this and upon how to rectify them. After successfully joining the CDG, all diving must be conducted in accordance with the Constitution and Safety Code . Trainees joining the group are given 5 years to obtain Qualified Diver Status. If they fail to reach Qualified Diver status within this period they will be transferred to Non-Diver status. Any member wishing to maintain Trainee Diver status past the five year limit must re-apply annually. Continued Trainee Diver status will be awarded at the discretion of the Section’s Qualified Divers. Qualified Divers seeking re-admission to the group after a period of lapsed membership of 5 or more years must rejoin the group at Trainee status. All members must pay the appropriate membership fee at the start of each calendar year. If the membership fee is not paid by the 1st of January, then the membership will be deemed to have lapsed. Lapsed members may rejoin the Group by paying the appropriate annual membership fee and any additional re-joining fee. An individual’s total membership subscription fee is determined by the combination or their membership type, newsletter subscription, and any BCS caving insurance they have taken outwith the group for the year in question. Add together the individual components relevant to your membership category to give your subscription. Annual subscriptions for the coming year are due by 1st December. Temporary membership for overseas divers only is £5. Temporary membership grants the status of Trainee Diver for a maximum period of 15 days and are covered by the BCA insurance scheme for cave diving but do not receive any further benefits. Public liability for caving insurance through the British Caving Association insurance scheme is required by all CDG members. Non-BCA schemes cannot be accepted as a substitute even if the cover is broadly similar. If a member already has current caving PL insurance through the BCA scheme, they must provide the details of their pre-existing BCA insurance arrangements to their Section Secretary. Postage supplements: UK = £0, EU including Rep of Ireland = £10, World Zone 1 = £15, World Zone 2 = £17. 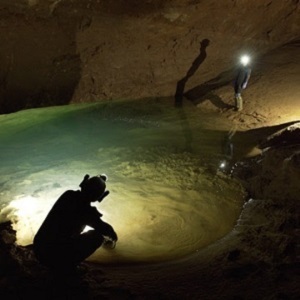 It will be clear that amateur cave diving contains an element of risk as detailed by our Risk Assessment. Before joining the CDG you must first understand and accept these hazards. An experienced cave diver is 39 times more likely to survive a dive than his counterpart from 26 years ago. Unfortunately this improvement in diver safety has not been matched for inexperienced divers. Negotiating access to caves can be a drawn out and delicate process. 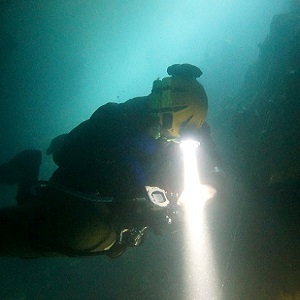 This article explains what can be involved in gaining (and keeping) access to UK cave diving sites. 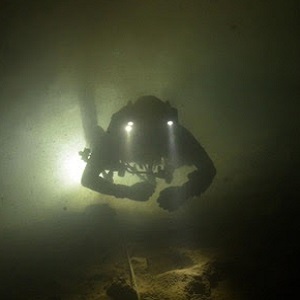 Cave diving is a hazardous activity that carries significant inherent risks of personal harm or injury, including death.